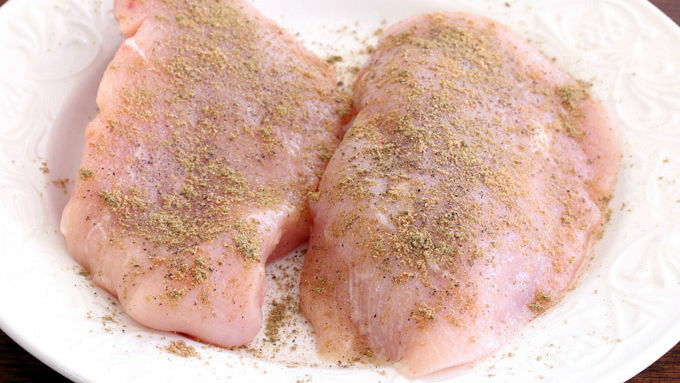 Rub the chicken breasts down with the cumin, coriander and some salt and pepper. 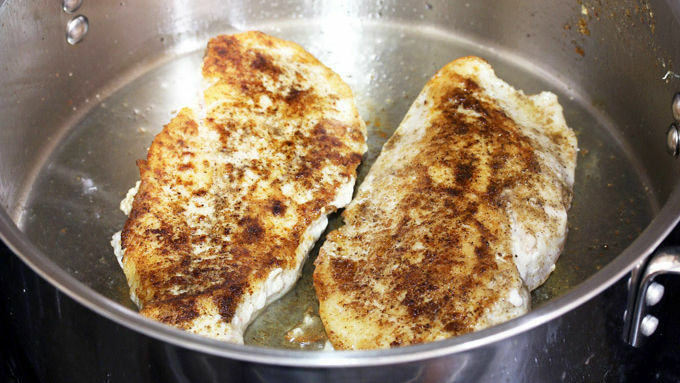 Heat the oil in a Dutch oven or large, deep skillet and brown the chicken on both sides. Transfer to a plate and set aside. Add the onion and cook until soft and translucent, 5-7 minutes. 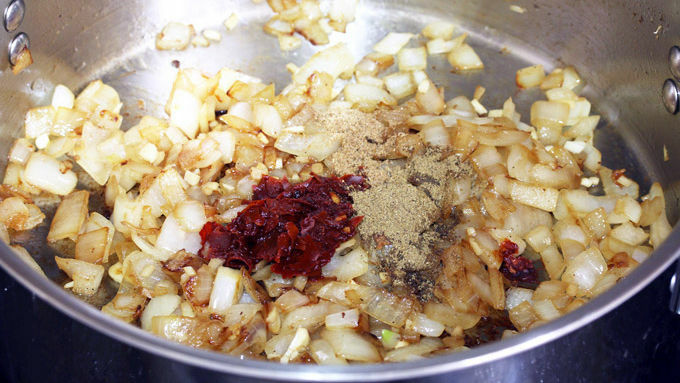 Add the garlic, ginger, cumin, coriander, harissa, honey, and cook for another 3 minutes. 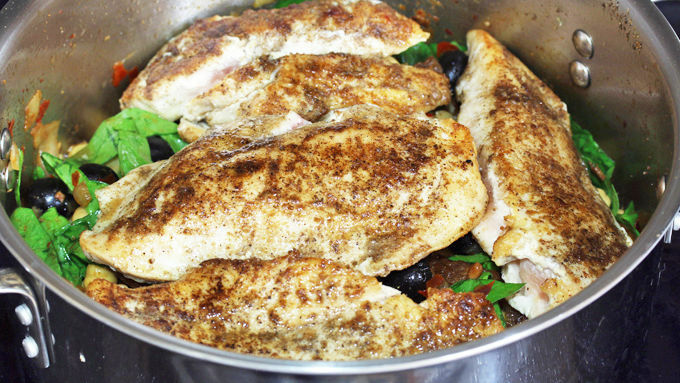 Add all remaining ingredients, stir to combine, and place the chicken breasts on top of the mixture. Bring everything to a light boil, reduce the heat to medium, cover and simmer for 35-40 minutes. 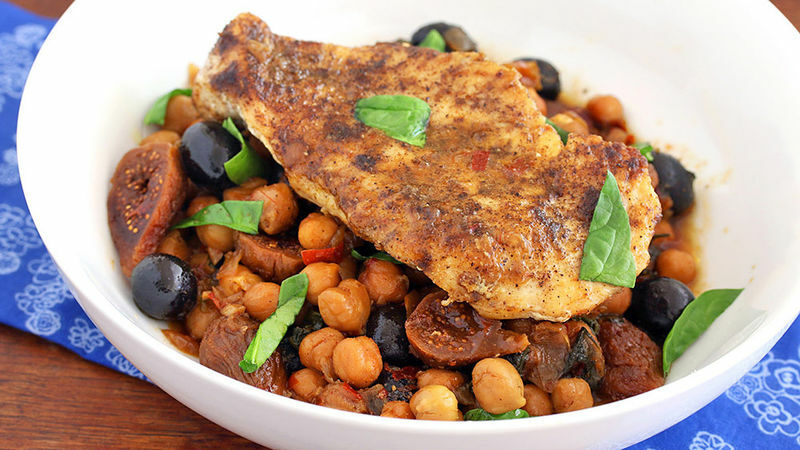 This simple chicken dish has a delicious Moroccan flair! International cuisine has always been my passion, and Moroccan food is no exception. 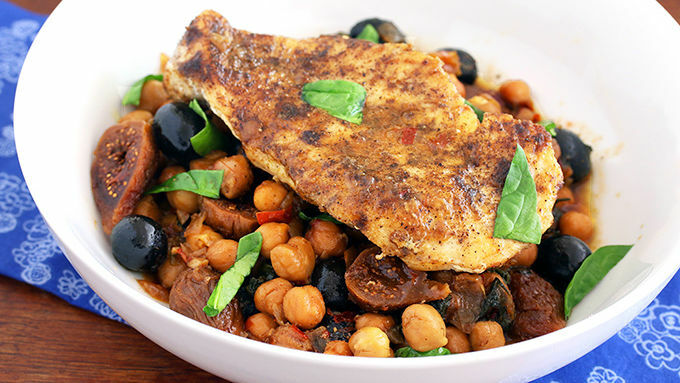 Here we have a simplified, fuss-free Moroccan-inspired dish that’s full of flavor. It’s a wonderful sweet-spicy combination that’s packed with healthy ingredients. Speaking of ingredients, in this recipe you’ll enjoy many of the classic flavors of Morocco without having to worry about locating hard-to-find ingredients. If you can’t find harissa, use a spicy red chili paste of your choice. The cumin and coriander you’ll easily find in the spice section of your grocery store. Not only does this dish taste phenomenal, you’ll only have one pot to clean up after dinner—and that’s almost the best part of all.